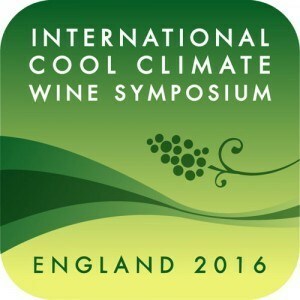 The 9th International Cool Climate Wine Symposium (ICCWS) will be held in Brighton, England, from 26 to 28 May 2016. The objective of this major event is to bring together researchers and wine experts around specific issues related to cool climate wine regions. Lallemand, partner and sponsor of this event, will be present on site throughout the symposium. During the 9th International Cool Climate Wine Symposium , different experts and scientists from around the world will present the results of the latest advances in scientific research and share their experience on topics of viticulture, winemaking, research and communication. Lallemand Oenology, a major partner of the event, especially recommends the conference three specialists in microorganisms in oenology: Professor Maret du Toit of the University of Stellenbosch, Dr Hugo Cambell Sills of l’Institut des Sciences de la Vigne et du Vin and Dr. Remi Schneider from l’Institut Français de la Vigne et du Vin. They will address through three different presentations the problems related to the control of malolactic fermentation, characterization of wine bacteria and expression of “thiol” in wines from cooler climates. The latest research Chardonnay and Riesling suggests that pairing selected wine yeast and bacteria can shorten the time of ‘MLF and naturally optimize the aromas of these varietals. The co-inoculation or choice of certain wine bacteria plays a leading role in the production of esters and aromatic terpenes, enhancing the fruity notes, even if partial fermentation. This study concerns the analysis of specific wine bacteria in some regions of Burgundy, cool climate relative to other wine regions of France. The results contribute to a better understanding of genomic mechanisms of adaptation of bacteria to a region or terroir and their impact on the final quality of the wines. The conclusions of this work are promising for the future and the selection of new bacteria”starters”. Lallemand Oenology, is proud to be partner of the 9th International Cool Climate Wine Symposium. Our teams will be in England to share with the participants different solutions (adapted yeast, wine making strategies …) for winemakers in cool climate wine regions.